The holiday season is an incredibly busy time of year. Between the shopping, the gift-wrapping, the cooking and the decorating, you’re most likely short on time and long on things to do. 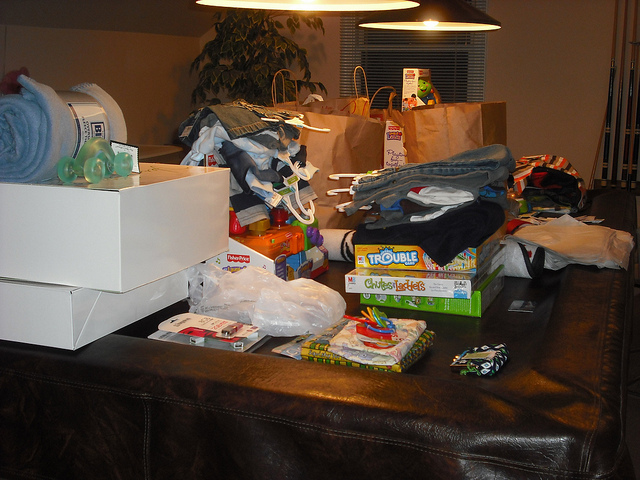 And the holiday rush can lead to disorganization, which can cause a big mess with all those gifts you’re buying. Want to make sure that Cousin Tim doesn’t end up with Aunt Tina’s gift? Follow these 5 handy tips. Be sure to give yourself enough time to purchase and wrap your gifts in an organized fashion. Buying and wrapping gifts can take quite a bit of time. Be sure that you’ve budgeted yourself an adequate amount of time to undertake everything. In fact, overbudget time. 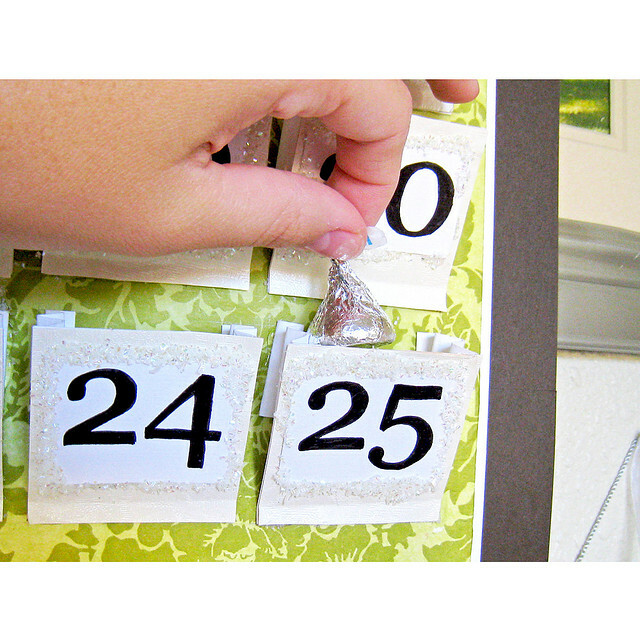 For instance, give yourself two full shopping days and one full wrapping day. While giving yourself that much time to buy and wrap gifts might seem like overkill, it can account for any unexpected issues you might come across (such as extra long lines at stores). And by taking the rush out of the holidays, you remove one of the main nemesis of organization — panic. Make sure you have enough wrapping paper for all your gifts. 2. Get enough wrapping paper. This might seem like a no-brainer, but failure to do this can lead to panic — particularly if you wait to wrap gifts last minute. As a general rule, overindulge in wrapping paper. If you end more than you need, you’ll have more wrapping paper for next year’s holidays. 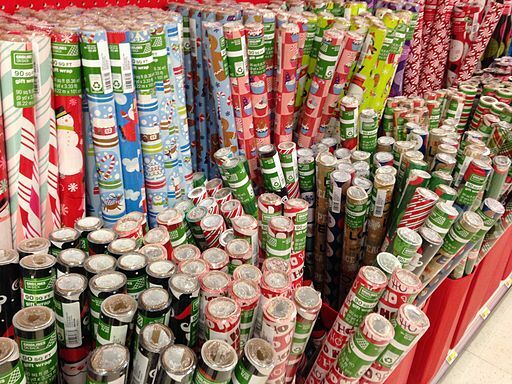 If you still have some leftover wrapping paper from last year, we’d still recommend buying more. It’s very easy to misjudge exactly how much wrapping paper you’ll need for items. Keep the leftovers for the smaller items and the new roll for the big boys. And of course, it can’t hurt to have a portable gift-wrapping station. Be sure that you have a staging area to store your unwrapped gifts, as well as a place to wrap them. 3. Make a staging area. After you buy all those gifts, you’re going to need a place to stow and wrap them. And since the recipients of some of those gifts most likely live under the same roof as you, you’ll need to find somewhere secluded for this. A spare storage closet would work best; if you don’t have one, consider putting your items in a box in your master bedroom closet and covering that box with extra clothes. Depending on the size of your storage area, you can either wrap gifts in that space or on your kitchen table under the cover of darkness. The key is to be incognito when you’re wrapping gifts, so as to keep Christmas morning joyful and surprising. When storing gifts, remember to put the biggest items at the bottom of the pile. 4. Big on Bottom, Tall on Top. Once you decide on a staging area for your gifts, this is a good organizing rule to follow. It’s common sense to stack gifts pyramid style (with the bigger gifts as a base), as the opposite method will send everything crashing down like a Jenga cascade. But again, we tend to do crazy things when we’re rushed. And this would include dumping unwrapped gifts into a box in no particular order. The time we save by absent-mindedly doing this will catch up with us when the disorganized pile of presents tumbles and we have to clean it up. And the commotion from the Fall of the Gift Wall can also ruin the surprise for many gift recipients. So remember, Big on Bottom, Tall on Top. A good labeling system for your holiday gifts can make a huge difference. It’s crucial that your gifts end up in the right hands. And no matter how much you might insist that you’ll be able to keep everything straight in your noggin, chances are you’ll have a mix-up without some semblance of a labeling system. While a comprehensive list (such as this one) might sound ideal, the actual list likely isn’t attached to the gifts themselves — meaning you’ll have to remember to update it as you go. Also, if a nosy kid finds the list, you lose the opportunity to surprise them. 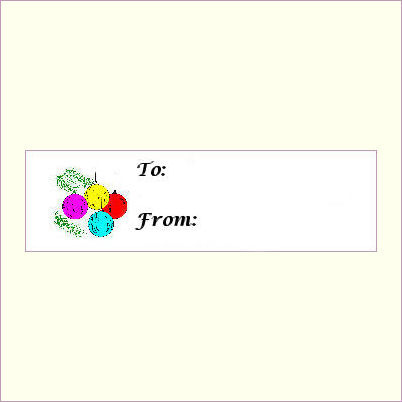 Our recommendation is to use Post-It notes before you wrap a gift, and gift labels afterward. Put post-it notes with the name of the recipient on each gift after you buy it. Then, when it comes time to wrap all the gifts, divide them by name. (We recommend taking this step during the wrapping process, since storing gifts by name takes up more space than storing them together.) After you wrap each gift, put a label on it with the recipient’s name. While these five steps might sound like common knowledge, committing yourself to organize effectively will help make the gift giving experience more enjoyable. And isn’t joy what the season’s supposed to be about anyway? Garrett’s Moving and Storage has moved thousands of people across the Dallas-Fort Worth Metroplex and across the United States since 1992. We have extensive experience with residential and office moving. If you or someone you know is looking to move, consider us! Request your free moving consultation today. This entry was posted in FAQ's and tagged gifts, holiday, organization. Bookmark the permalink.